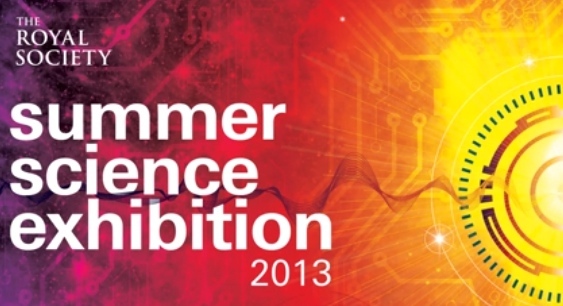 This week a very special event took place at the Royal Society in London, the Summer Science Exhibition. (The Exhibition is an annual display of the most exciting cutting-edge science and technology in the UK). In among exhibits about Dark Matter the Higgs Boson and Quantum Revolution is an exhibit called 'Electric Carbon'. For the first time scientists from the University of Cambridge talked openly about a new material that could literally change our world. This new ultra-light high performance electrical conductor, made from carbon rather than copper and making use of 'green house' gases has been developed by a quite exceptional team. Back in January 2011 I wrote a short article about the work of this group and I said; "I think we are about to move forward in a technology leap which although not quite as big as the invention of the printing press, or telegraph could revolutionise how we move both electrical power and data around", having worked with the team for over two years now I think I was understating the potential impact. It was my privilege and pleasure to edit the brochure for the team's stand at the exhibition, but the best person to talk about this new material is the leading scientist, Dr Krzysztof Koziol. Here he is in a recently filmed video for the event. I have been very lucky to work with these people on a really great piece of work which has the potential to both increase the efficiency of our power production and the efficiency with which we utilise our energy. Crucially they understand how important it is both to do great research, but also to talk about their research in an accessible way, so that we can all appreciate it. Over the last week the team have been chatting to the media about their research and it was covered on ITV on the 27th June ). This is very definitely 'one to watch'.